At Five Brothers Insurance, we can provide you with nearly any personal insurance policy you could need. In fact, because we are an independent insurance agency, we can provide you with quotes from a wide range of carriers to help ensure that you choose the policy that best meets your unique needs. So, if you are in the market for a motorcycle insurance quote, look no further. The Five Brothers Insurance family is here to help. Motorcycles require separate motorcycle insurance policies and are not typically covered by your standard auto insurance policy. As such, they require a separate insurance policy to keep you covered in the event of an accident or injury. At Five Brothers Insurance, our dedicated insurance agents can help you select the policy that best meets your needs and provide you with a motorcycle insurance quote that doesn’t break the bank. We will work closely with you to learn your exact coverage requirements and shop the world’s most trusted insurance carriers to find a policy that aligns with your budgetary restrictions. Better still, our unparalleled service and support won’t stop the second you sign the dotted line. Instead, you will enjoy a best-in-class policyholder experience for as long as you hold a policy with us. 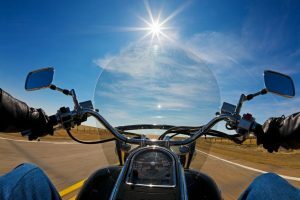 If you are interested in receiving a motorcycle insurance quote for Tampa, St. Petersburg, Clearwater, Dunedin, Tarpon Springs or any of the neighboring areas, contact Five Brothers Insurance today. We can help you find the motorcycle insurance policy that best meets your unique needs, and our dedicated agents are on-hand to answer any questions you may have. We look forward to serving you and providing you with the best policies to protect you when you need it most!